The following video is a series of strengthening exercises for runners that incorporates simple plyometric type activites with running form. They should be performed 3-4 times a week by all runners whether just starting out or if even if you have been running for years. They are advocated by Olympic Running Coach Walt Reynolds who says by simply adding these exercises to any running program you can improve your racing times. These videos were recorded for my interactive text that I released on iTunes iBookstore over a year ago. 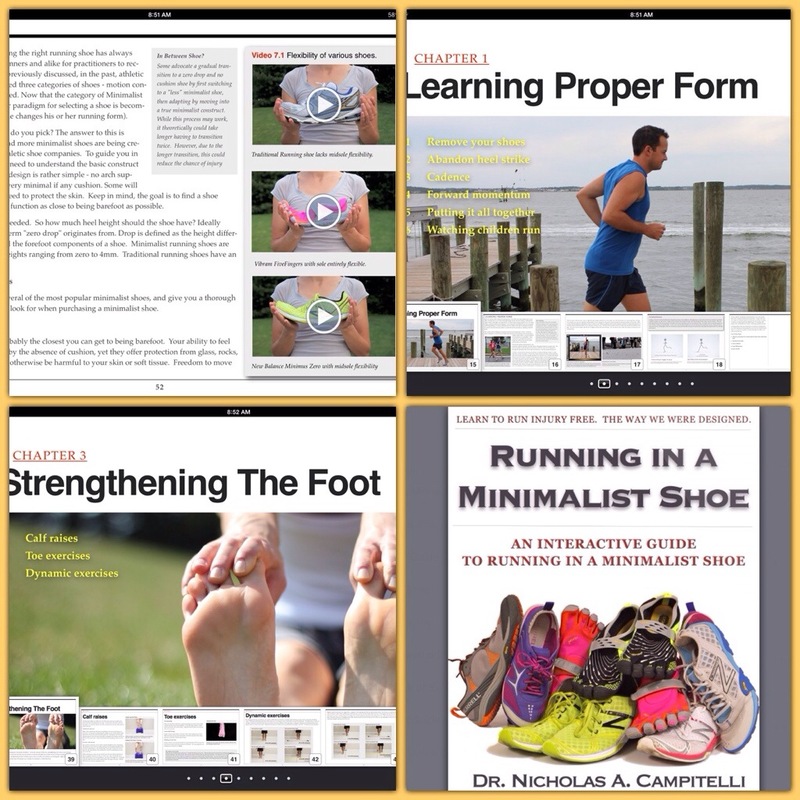 They are included in the $1.99 text along with many other videos demonstrating proper running form and discussing running injuries. I’m gradually adding more videos to my YouTube page which will discuss various foot injuries and deformities as well as running injuries. If you have any suggestions for something you would like to hear me discuss, please add in the comment section below. I implemented these exercises into my running several months ago after suffering an arch strain during the Akron marathon at mile 10. They helped me recover and not only strengthen the injured abductor hallucis muscle of my arch, but helped me get over a nagging achilles tendinitis on my other leg. Runner’s World Guide to Running Your First Marathon.